Located in Kingsport, Tennessee. 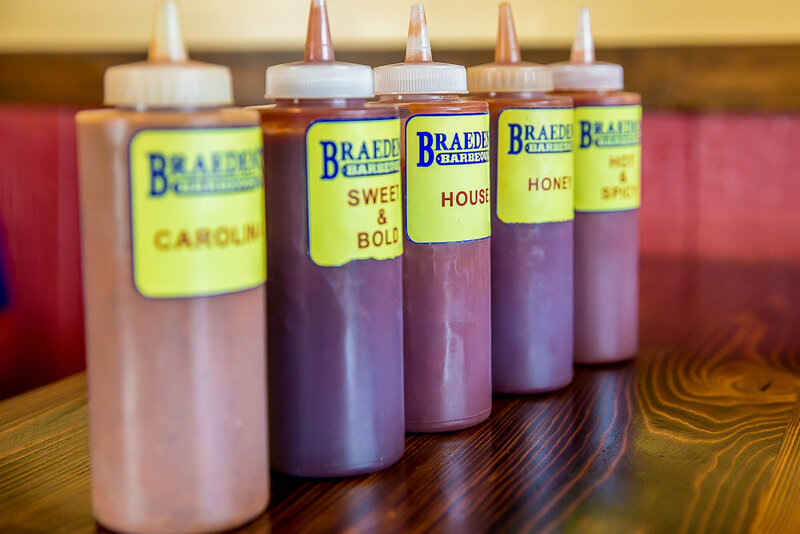 Braedens is the Premier Barbecue Destination for a Great Lunch and Incredible Catering. Carolina (a vinegar based sauce). Our burgers are 100% Black Angus beef and are grilled over an open flame. Both our burgers and barbeque were voted the best in the area. We also have hot dogs, a variety of deli sandwiches, and fresh salads made to order. Kid's menus are available. All Combos Include a 32oz Drink. Sandwiches Served with Chips & A Pickle Spear. Slaw on Sandwiches Upon Request. Our Hot Dogs are 2oz. All Beef Franks Grilled to Perfection. Includes your choice of Mustard, Ketchup, Mayo and Onion. All Hot Dogs Served with Chips. Served on your choice of White or Wheat Sub Roll, Croissant, or Wheat Berry Bread. Includes Lettuce, Tomato, Onion and Green Pepper. All Sandwiches are served with Chips & a Pickle Spear. All Salads are made from Freshly Chopped Green Leaf and Iceberg Lettuce and include Grape Tomato, Carrots, Cucumbers, Onions, Eggs, Bacon, Shredded Cheese and Croutons. 12 Years & Under. 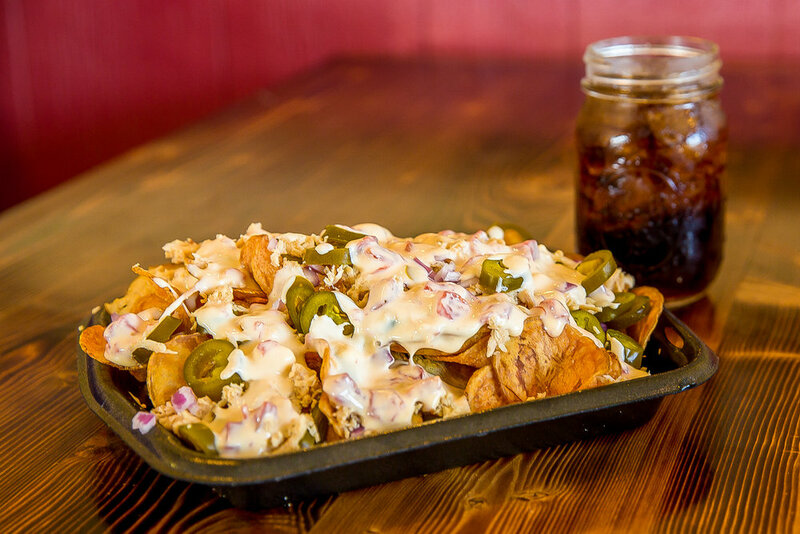 Includes 16oz Drink and Choice of Chips, Fries or Green Beans. Friday Night is $1.50 rib night! One Pound of Meat & 4 Large or 5 Small Buns. One Quart of Baked Beans and 1 Quart of Cole Slaw Also Included. Two and a Half Pounds of Meat and 10 Large or Small Buns, Two Quarts of Baked Beans and Two Quarts of Cole Slaw. Feeds 10.